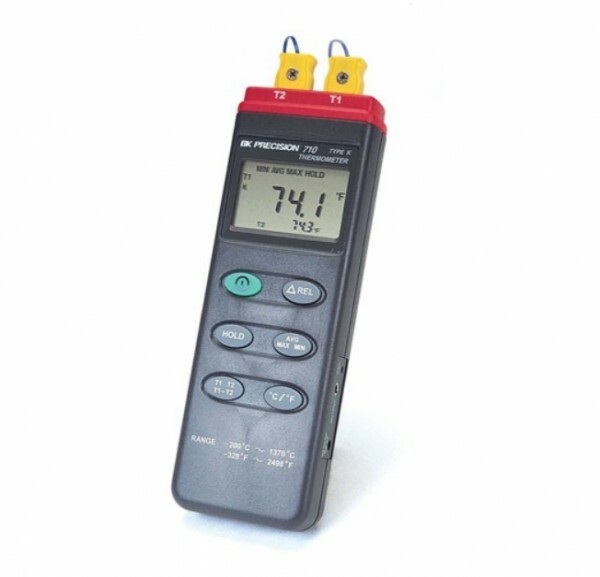 Model BK710 dual input digital thermometer offers a dual display where T1 and T2 can be switched between the large and small digits. 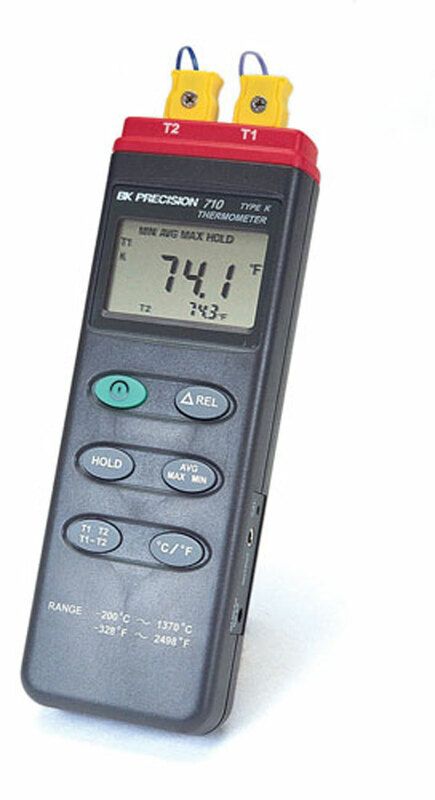 BK710 from B&K Precision offers a dual display where T1 and T2 can be switched between the large and small digits. While T1 and T2 is displayed on the large digits, T1 and T2 alternate on the small digits. With the optional ThermoLink software and RS232 cable (AK 710), even Model 710 becomes a real time data logging meter when attached to a PC.